Knitted wrist and black PVC dot grip on single side. 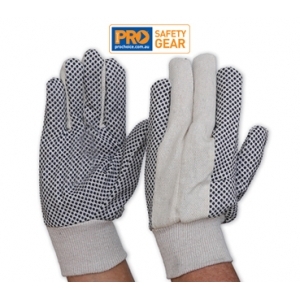 Cotton drill glove that is tough yet economical. Knitted wrist to exclude debris.